Sewell’s Jewel’s and Sewell Cookbook are locally developed cookbooks put together by the residents of Sewell. This community cookbook was probably produced in the mid 1960s. Sewell Inlet extends in a westerly direction from Selwyn Inlet on the east coast of Moresby Island behind Louise Island. In the early 1900’s it was referred to as Jewell Inlet and also by the Haida Indian name “Holoas” or “Shallow-Waters-Where-The-Salmon-Spawn”. When the Government put in the trail and cabin at the head of the inlet in 1908, it began to be called Sewell Inlet, at least locally. During early mining boom years, Sewell experienced its share of hopeful young prospectors and several cabins were built along its hillsides. Today the Inlet is occupied by a modern logging camp, moved from Moresby in Cumshewa Inlet by Rayonier Canada Ltd. to its present site on the south shore near the head of the Inlet. The community is a flourishing one and supports a very active Divers’ Club, Ladies’ Club, Bowling Leagues, Recreation Commission, all of which sponsor dances, bingos and banquets. In addition, there is a Coffee Shop-Bar open every evening, Pool Hall, Commissary, two lane Bowling Alley, Sunday School, a small Library and a Tennis Court. The Camp is comprised of approximately 40 families, and 60-80 men live in Company bunkhouses. The fare at Sewell is enrished by the abundance of deer and fish and the proximity of abalone, scallops and clam beds are a sportsman’s delight. There are many fine cooks in Camp and here are some of their prize specialities — read on and enjoy!! This cookbook came to light again from the amazing collection of Andree Elliot’s of Queen Charlotte, on her passing. These books have been donated to the Queen Charlotte Branch of the VIRL for their Heritage collection – 2012. Put all ingrediants through the meat grinder twice. Make patties or leave in loaf stype and freeze until required. Makes excellent meatballs with an egg or two added. Sadly Sewell is no more … but some of her buildings have migrated to Queen Charlotte as have her recipes. 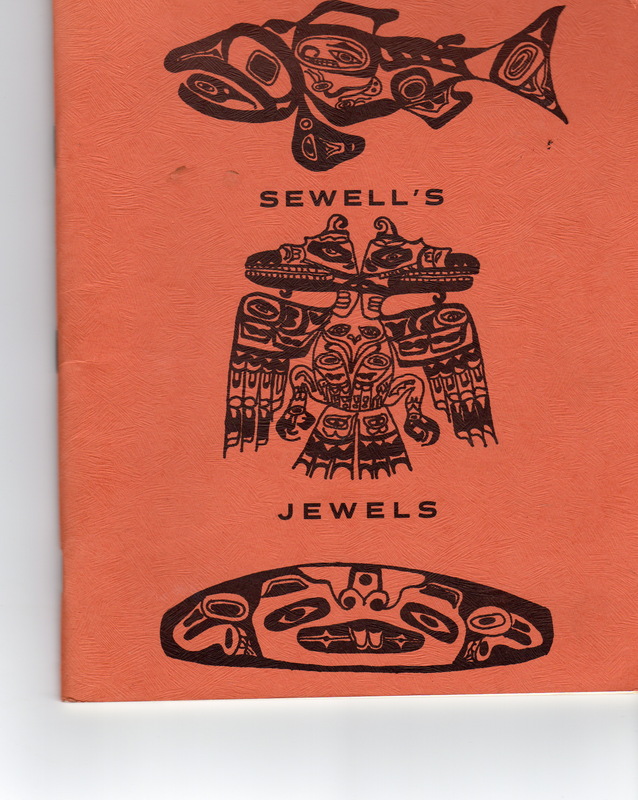 My mother, Chrisoula Christou and myself, Maria Christou, were contributors to the Sewell’s Jewells Cookbook, and I still have my copy! We are finally getting back to work on this site … would love to share any materials. Happy to hear the news 🙂 There is a Sewell Inlet group on Facebook that is organizing a reunion of all past Sewell Inlet residents to be held in Parksville in the third week of August 2015. Terrific … I hope you send something to the Observer. Do you remember Farrells on fish patrol down there. While we were visiting in Nfld at the show we met someone else from Sewell sorry don’t remember their names.